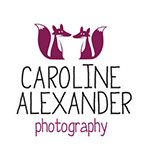 Caroline Alexander Photography takes your privacy and the handling of your data seriously. In order to comply with the General Data Protection Regulation there may be times when you will be asked to specifically opt in to receiving communication from us and to sharing your data. You are able to request, on demand, all data that Caroline Alexander Photography, as a business, holds on you. This will be provided as an electronic report. You have the right to withdraw your consent to have your data stored at any time. If you choose to do this, please email info@caroline-alexander.co.uk stating so. (a) Invoices, contact and contract details will be retained indefinitely. (b) Planning information, wedding details and customer notes will be kept for 6 months after image delivery. In terms of explicit GDPR compliance, Wedding clients and guests are photographed within the parameters of GDPR legislation on the basis of ‘legitimate interests’. The taking of photographs of wedding guests when viewed as a form of processing personal data is necessary for the legitimate interests of Caroline Alexander Photography as a photography business unless there is a good reason to protect a given individual’s personal data which overrides those legitimate interests. Anyone photographed by Caroline Alexander Photography, whether a client or wedding guest, and whether past or current may withdraw consent for a photograph in which they appear to be displayed. The process for this is to email Caroline Alexander Photography at info@caroline-alexander.co.uk specifying the photo in question. Pursuant to the request, Caroline Alexander Photography will then remove the photo from online and printed display wheresoever it appears at the earliest opportunity.